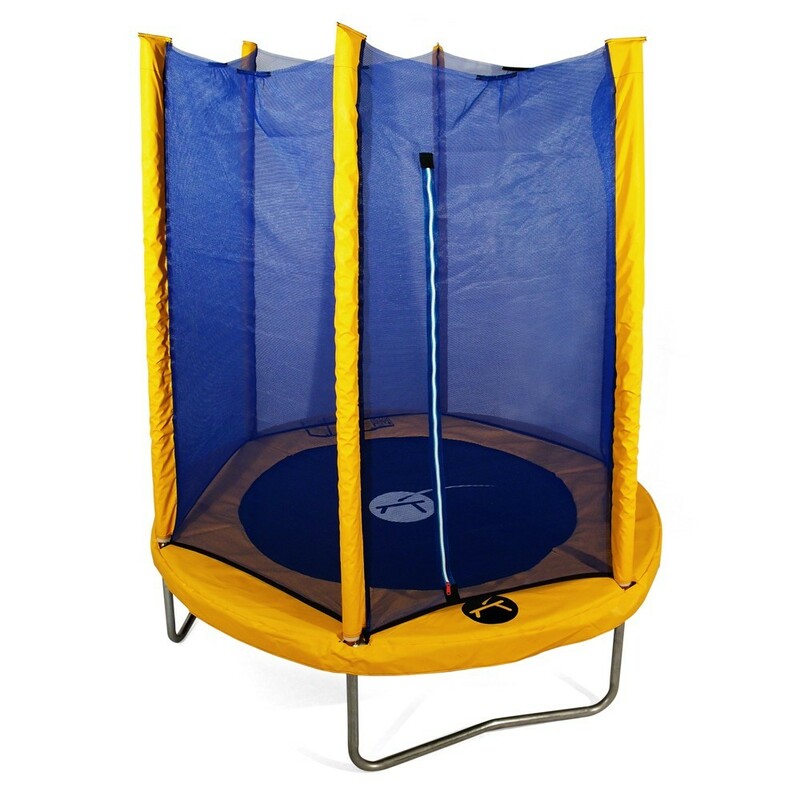 6ft indoor trampoline (185 cm diameter) specially designed for children aged 3 to 10 ! Have your child enjoy the fun of this trampoline all year long. 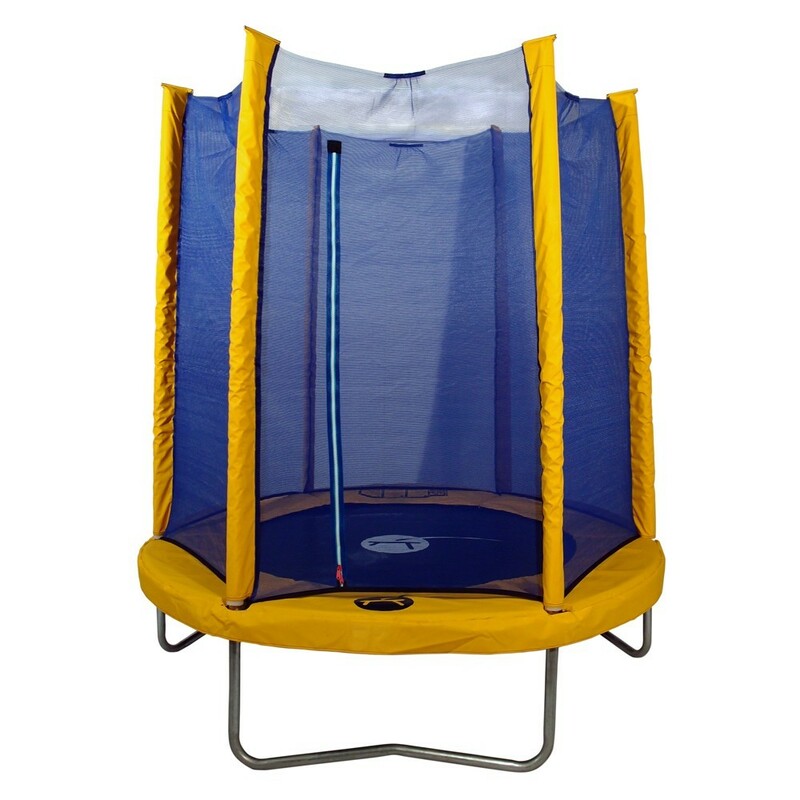 Year-round trampoline fun is now possible with this Junior indoor trampoline! This compact trampoline will fit in the game room or a large bedroom and let your 3-to-10-year-olds enjoy it thoughout the year. - With a diameter of 1.85 m and a height of 1.96 m, this small, indoor trampoline's compact size lets you easily install it in your home. 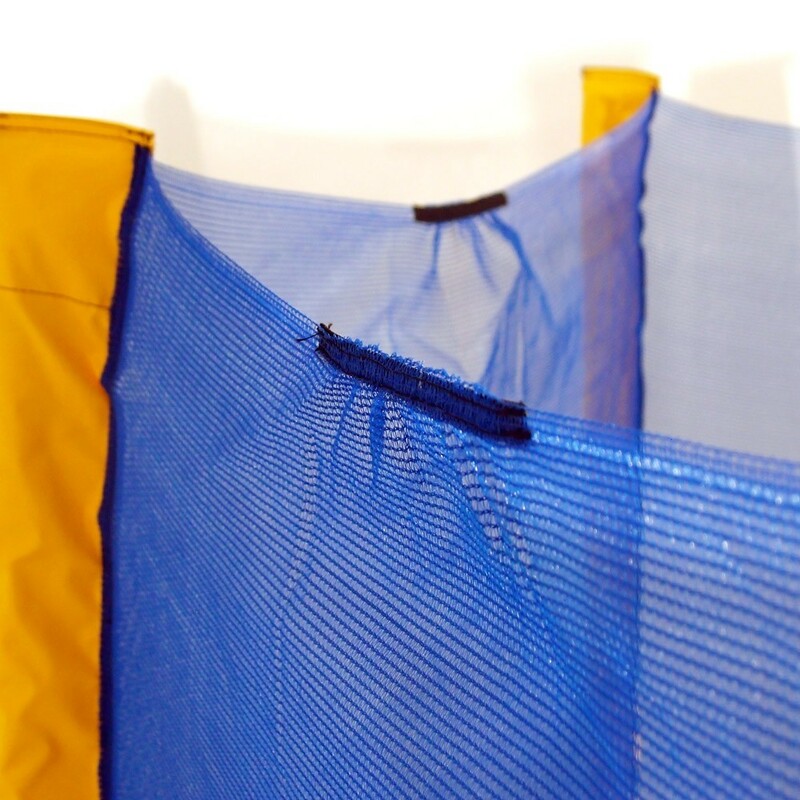 - Its jumping mat, attached to the frame with 36 136-mm springs, allows children to jump around without jumping too high and hitting their heads on the ceiling. However, always install the trampoline in a room with at least 2.20-m-high ceilings, and never below a sloped ceiling! - This children's indoor trampoline is equipped with a safety enclosure located in the center of the safety pad. 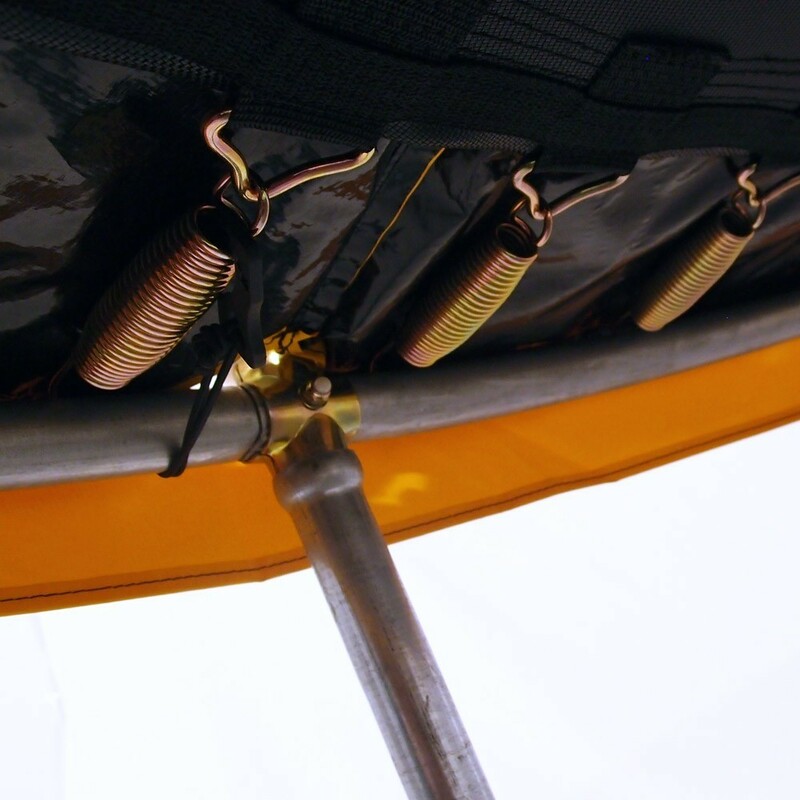 The yellow safety pad, which completely covers the springs, prevents all contact with the rigid parts of the trampoline. 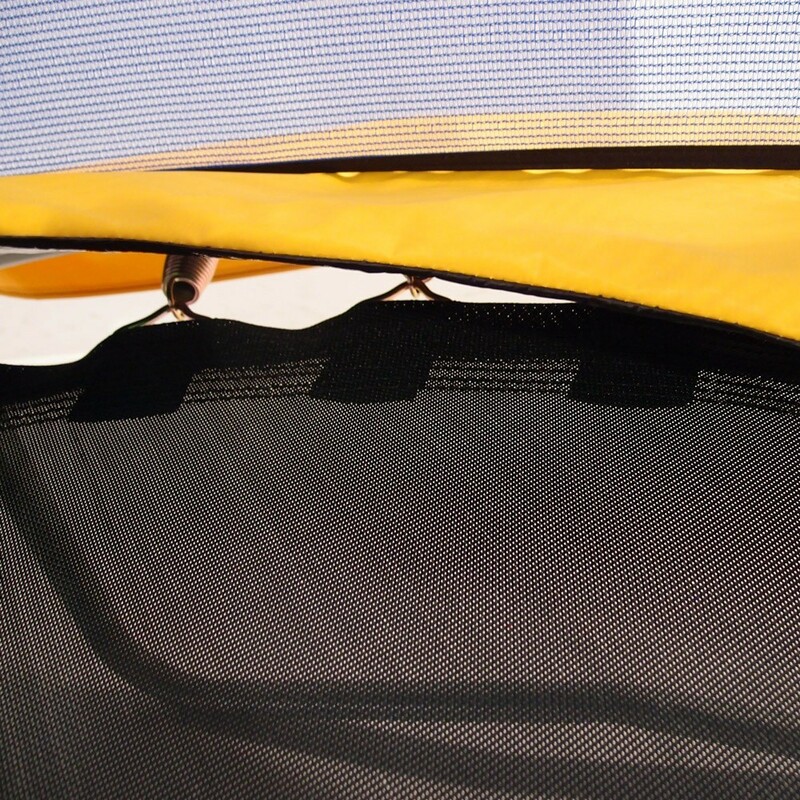 - The net's entrance zips open and close, easily allowing parents to control access to the trampoline. 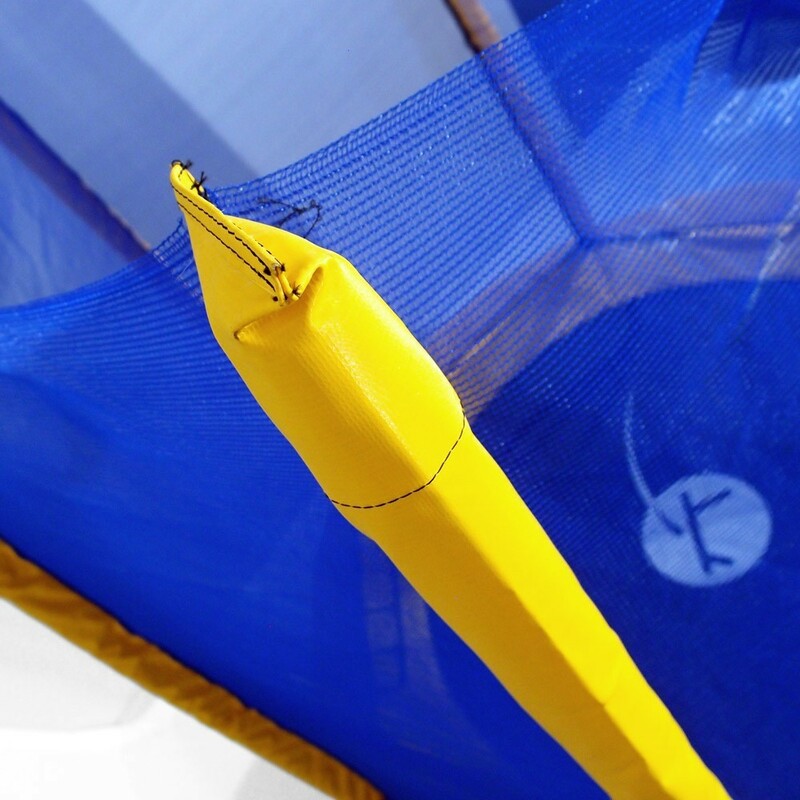 - This small, colourful trampoline is suitable for children aged 3 to 10. No room in the garden… no problem! This small trampoline (Ø180 cm) is manufactured in galvanized steel to resist corrosion; it can be used in a room or on the terrace of a flat. 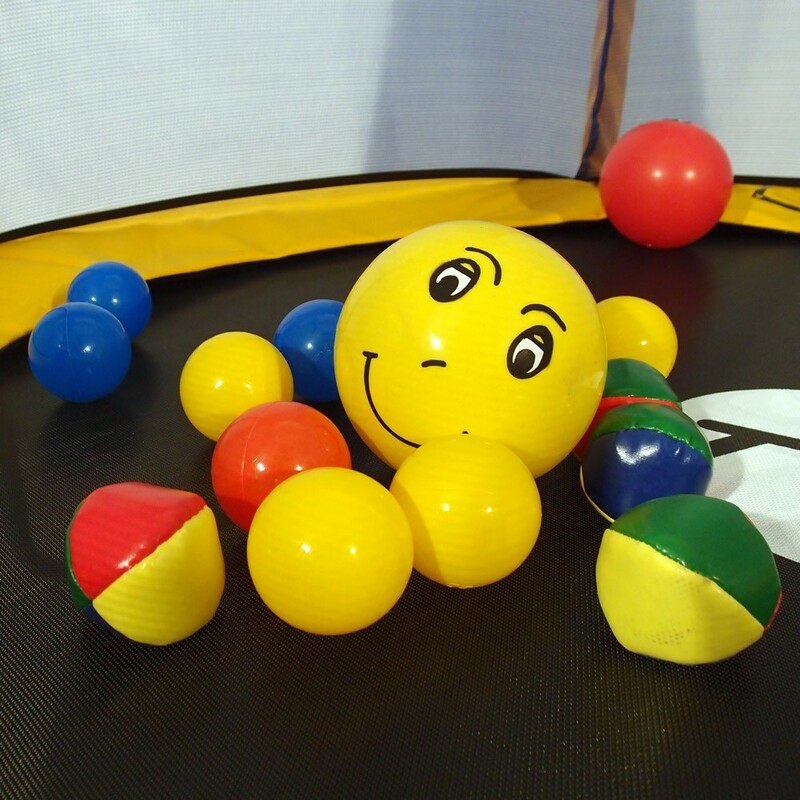 Its springs facilitate the bouncing of light-weight users to guarantee lots of fun for bouncing tots! 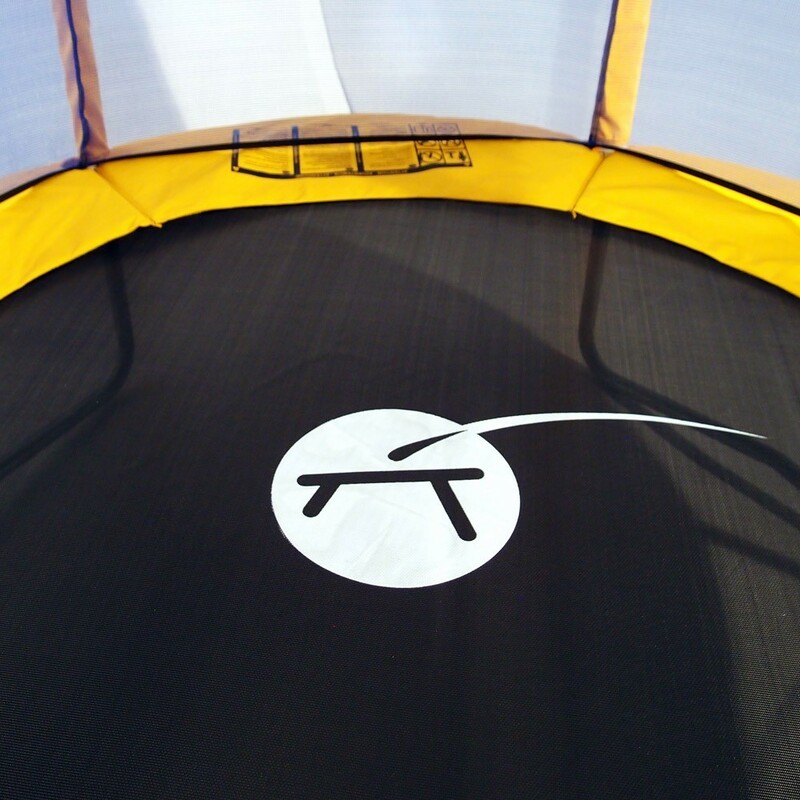 This mini-trampoline was especially designed to develop coordination and balance in children. 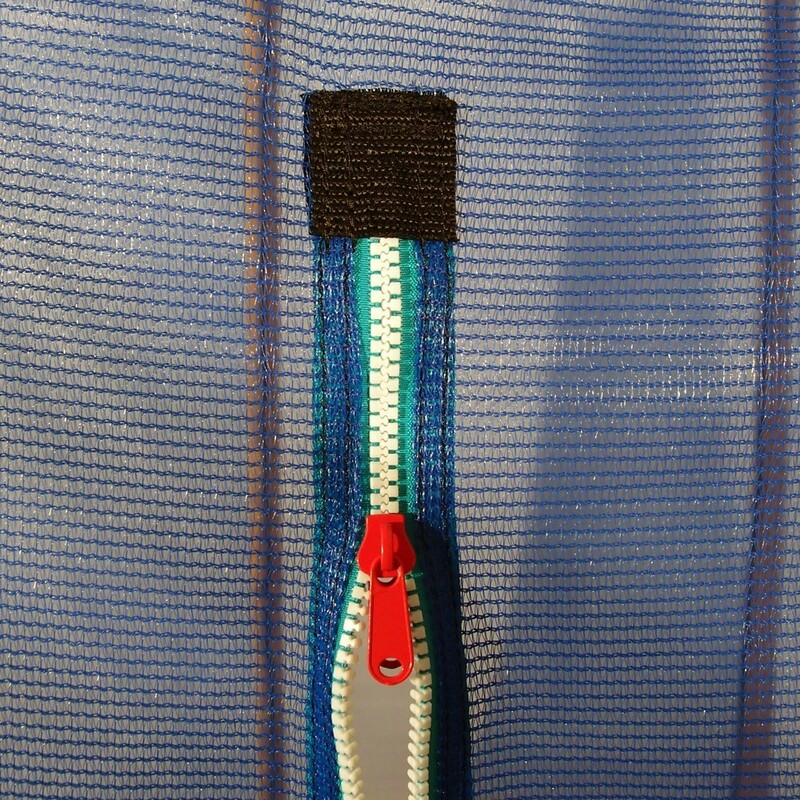 The jumping mat is tightened using 136-mm springs that have been specially adapted to preserve the joints of children ages 3 to 10. Bonne qualité. Montage facile. Conforme à la description. Les enfants sont heureux.